Offering you a complete choice of products which include three seater chairs. 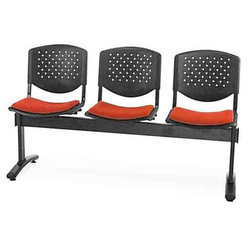 Three seater Chairs offered by us are comfortable and durable. These chairs have the metal and ply base. They are made keeping in mind the sophisticated looks they give. Easy to maintain and durable these chairs are competitively priced in the market. Looking for Multi Seater Chairs ?